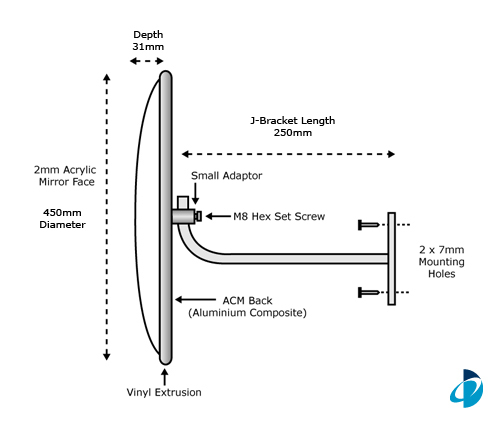 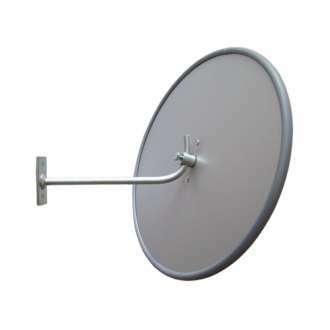 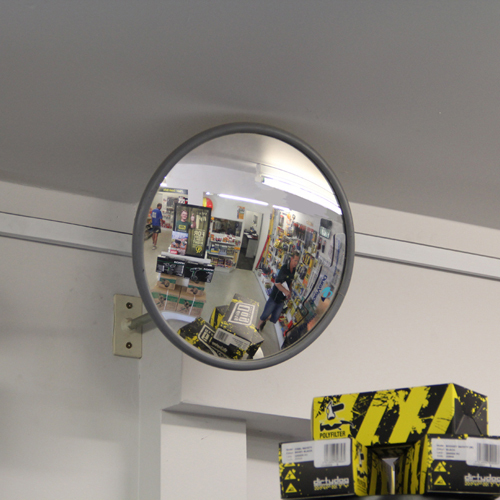 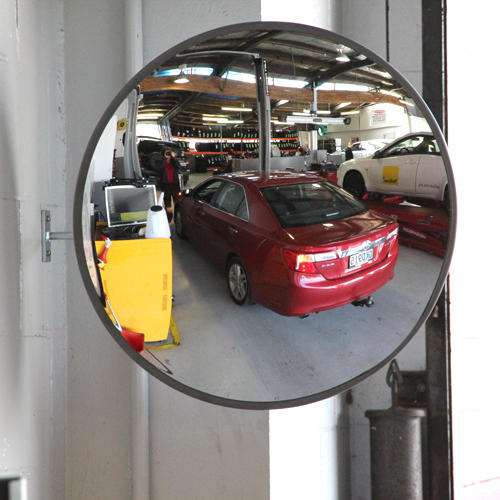 This 450mm Indoor Adjustable Convex Mirror adjusted to any angle to allow an optimal line of sight. 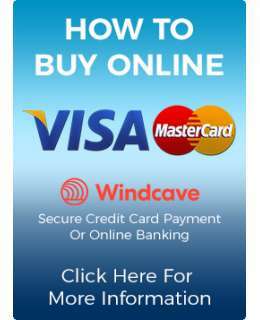 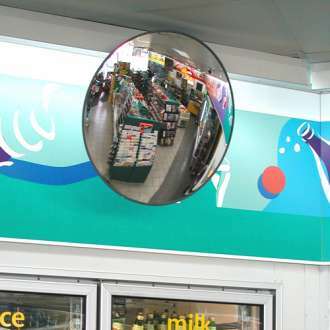 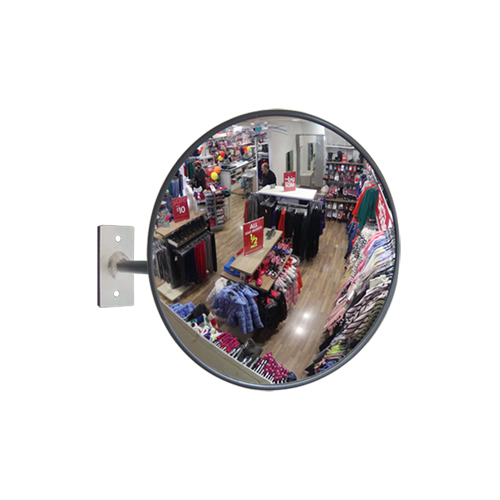 As a retail security convex mirror, it can be positioned wherever goods are concealed from view by shelves and partitions, around corners, aisles and corridors. 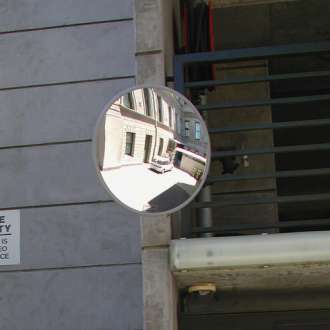 The ACM (Aluminum Composite Material) back makes it an effective safety mirror for light industrial safety situations such as factories, hospitals, warehouses or any other situation where blind spots may cause a problem.